Whether you need someone to come by and feed your cat while you're away, or you're looking for a cat sitter that will let your cat stay at their home overnight, finding a quality cat sitter that you can trust in Irvine can be a difficult task. That's where we come in. We've spent hours researching to find all of the best cat sitters in Irvine to help you understand who can help look after your feline friend(s) when you're not around. 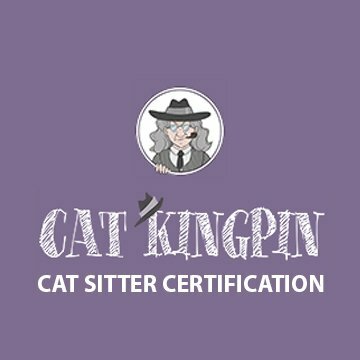 *If you're a cat sitter in Irvine and want to be added to this page, please click here. Bow Wow's & Whiskers Pet Care Co.
At Home Cat Care, Inc.
How They Describe Themselves: We provide daily or occasional walks. Walks are approximately 30 minutes and also include providing any additional services if necessary. A great option when you are traveling is to have us stay with your pets. They have someone with them all night so that they aren’t lonely. How They Describe Themselves: Started the first pet sitting service in Orange County in 1981. Our clients can count on us to provide their pets with time and tender care. Our client’s pet’s “signals” are read “loud and clear” and their needs are met daily. How They Describe Themselves: I am dedicated to providing your pets with the best possible care through my 20+ years of experience and knowledge. I will give your pets the love and attention they deserve so that you can relax during those times you’re not able to be there with them. How They Describe Themselves: Our mission is to provide a comprehensive choice of pet services using proven, positive reinforcement methods to meet each client’s unique set of needs. We specialize in dog walking, pet sitting, and dog training throughout Orange County. How They Describe Themselves: We provide peace-of-mind when you are not able to be with your pets. We pride ourselves on providing you and your pets with outstanding personalized service and invite you to refer your family and friends to share the experience. We’ve turned our love and passion for animals to our full time jobs and care for your pets as our-own. How They Describe Themselves: Our name truly describes how your pets will feel while in our care: we treat your furry kids as if they were our very own. We understand how busy and unexpected your daily lives can be with careers, travel, and personal commitments. Rest assured that your pets are cared for in the best manner possible. How They Describe Themselves: Our resort features everything your dog or cat needs for a great experience. From our expert veterinary staff and training staff. Our feline guests stay in Dr. Boyd’s Tree House complete with private rooms, climbing structures, natural lighting and soothing sounds. This is a great opportunity for your cats to stretch their paws, climb, relax and have some fun. How They Describe Themselves: We strive to keep your pets pampered, comfortable and stress free by following their daily routine per your instructions. Through our continuous commitment and professional loving care, our goal is to create a bond with our clients and their beloved pets that will last a lifetime. Your pet’s well being, happiness and ensuring your peace of mind are our main concerns. How They Describe Themselves: Professional Cat Care in your home since 1993. I chose to specialize in order to concentrate on learning everything possible about these wonderful, elusive, fascinating felines that share our home. The goal is the absolute loving comfort of your cats while you are away, so that you can have peace of mind and enjoy your trip. How They Describe Themselves: We will treat your pet with the care, affection and patience it deserves. Our climate controlled veterinary facility can accommodate dogs, cats, birds, rabbits, hamsters…almost any household pet! All pets receive individual care and attention throughout the day from our caring staff members, and our veterinary doctors are available daily to supervise your pet’s stay and address any health concerns. How They Describe Themselves: Our practice offers pet boarding so you never have these worries. You can kick back knowing that your beloved pets are properly cared for in a friendly, fun, secure and nurturing environment. We want to make sure that we are the right match for you and your pet.